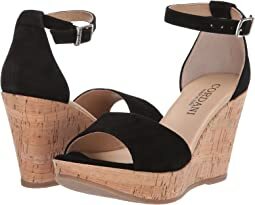 The original Cordani shoe collection emphasizes fashionable and chic wedges and platforms. Their shoe bottoms are carefully designed to provide even weight distribution to allow you to work or play all day long. 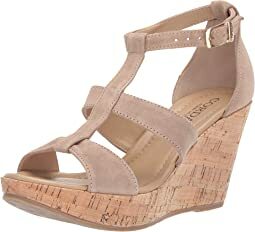 The curved lines of the under-soles give you a ¨rocker-effect¨ which gently propels you forward as you walk. The simple, understated designs offer you endless options to wear with all of your casual outfits. Cordani launched the Linea Blu collection to provide even more benefits for those needing that additional level of comfort. The features of this luxurious collection include flexible soles, lightweight constructions, arch supports, heel grips and padded foot-beds among others. 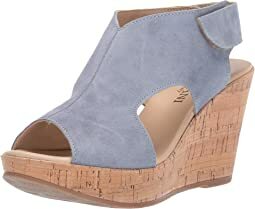 The Linea Blu shoes will pamper your feet every step of the way. 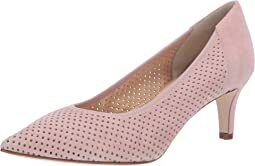 So indulge yourself with comfort and pamper you feet Italian style with Cordani shoes. 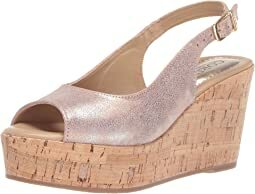 Cute and comfortable wedge that will go with just about anything! I am a 7 to 7.5 and ordered both the 37 and 38. Ended up keeping the 38 in these for the length. A bit of a splurge at this price, but a very nice quality shoe that will probably be worn almost every day. I absolutely love these shoes. 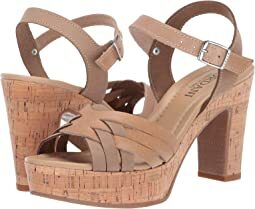 I love the soft leather, the leather wrapped sole and metal detail, and the way the sandal hugs your foot perfectly. Unfortunately, they were just too narrow even after sizing up. I wish these came in wide. They're beautiful. I usually fit a 6 1/2 or 7 which translates into a 37. The 37 was too small for me but the 38 fit perfect. I love the look and comfort. Great for the new spring/summer season! These are nice but they fit HUGE. I am an 8 and the 39 and the 38’s were too big so I’m going to try the 37’s. Width is good, solid wedges with a good looking cork. Nice quality and comfortable but super clunky and heavy. Returned. 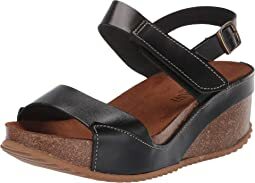 This is a very well made shoe and it look great on, however, all the leather components were too lose and I couldn't adjust it enough, or at all, to make it feel snug and supported on my foot. 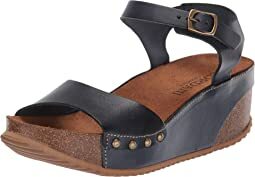 I wear a 7 and purchased the 37 (6.5 /7) I could try going down a size but I found another summer sandal. These shoes are very comfortable and stylish. It’s great to get away from dark colors. These are amazingly comfortable and easy to walk in. I had foot surgery last year, and this is the first pair of heels I've been able to wear comfortably since then. I was worried about the Velcro looking cheap, especially on such a well-made pair of shoes, or coming loose. However, I ended up liking it better than a buckle since it hits right on my ankle bone; it's also really strong. These sandals felt great right out of the box! My feet are on the wider side so the straps were snug but not uncomfortably so. And being leather they will stretch a bit over time. 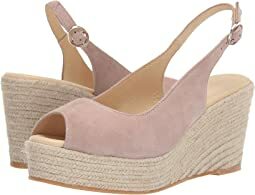 They are beautifully made in Italy and the color is gorgeous. 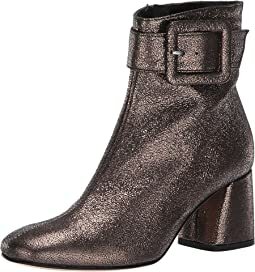 I happened upon them when I was searching for a dressier shoe to wear to an occasion and I thought I had better get them now before they are sold out! So glad I did! 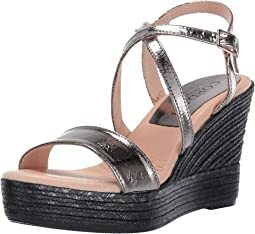 This is my third pair of Cordani shoes and I love them all! 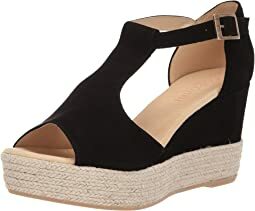 I never loved shopping for shoes but Zappos makes it so easy!!! This did not fit my foot at all. At first I thought that the problem could be rectified by making the heel strap tighter, but that didn’t help at all. Norwood getting it in a smaller size since the length seemed to be fine. I think that if I had a chubbier foot, these may have worked, but the normal 7 1/2 medium was slipping off of me. 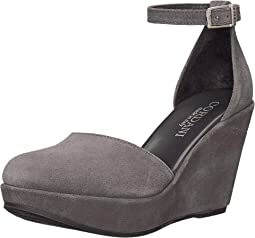 The shoe is absolutely beautiful and comfortable when you put it on however, when you begin to walk your heel moves up and down in the shoe in such an awkward manner you feel as if your heel will completely fall out. To make it worse there is a really loud "swooshing" noice that your heel makes when you walk. Should have listened to the reviews. 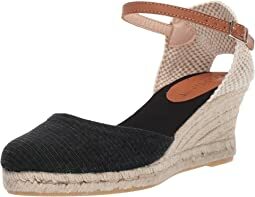 This is the first time I have not been happy with a Cordani shoe. 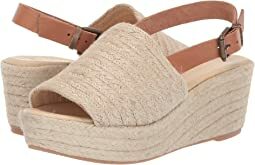 I was looking for a designer gold espadrilles that were beautiful AND super comfy. Getting my foot into the shoe took a little maneuvering, but was time spent well because this tricky decorative straps are amazing foot & ankle support. 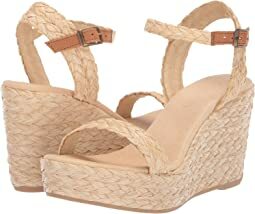 The footbed hides stains and is padded. I cant believe how comfortable these stylish shoes are! Shoe was a little snug in order to get heel to fit properly but linen will stretch. Nice looking shoe. My usual size 6 was way too big, so I ordered a smaller size. The size of the shoe was ok, but the cut of the upper did not fit at all. For the price, not a good shoe. I tried to make this shoe work with even a pad but it feels too big. I feel like I am going to twist my ankle. 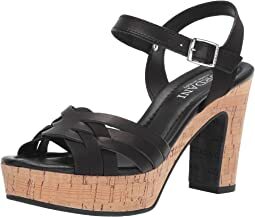 This is a beautiful shoe and I wish it did not have such a high heel. 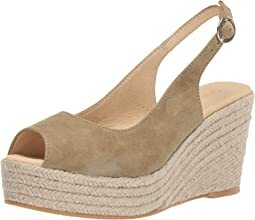 The footbed is padded and comfortable and I thought with the platform, the heel height would not be too bad. 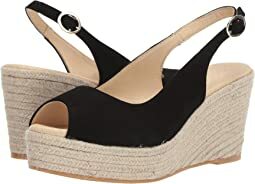 For me, the slope was still too much so I had to return them as I just cannot tolerate much of a heel over 2 inches anymore and this felt closer to 3 inches. 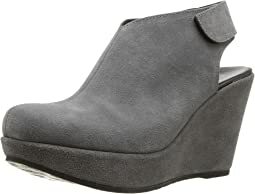 I would definitely purchase this shoe in a lower heel. The style is yummy but they just weren’t comfortable. Basically no footbed and the arch support hits my foot in the Wong place. Sad to have to send them back. 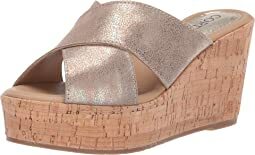 These shoes were exactly what I was looking for in terms of the burnished gold color and wedge. I normally wear a size 7 medium and fit into most shoes of this combination. These shoes are the right length but the problem is the upper (gold) part is very, very loose and slightly misshapen - all over. It looked bad and it fit worse. I am very disappointed to be sending these shoes back. The color is perfect. Love the style of these shoes. Fabulous boots, lovely craftsmanship and very comfortable! 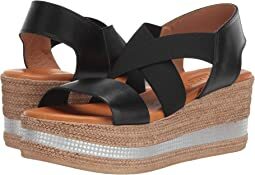 Loved these, stylish and comfortable. I would totally buy in other colors. I sent these back only because they weren't as dressy as I needed. The toe is very rounded and the effect is almost like a pair of Dansko clogs with super high heels. They are substantial and seem really well made. The blue is lighter, almost like denim, as opposed to navy.